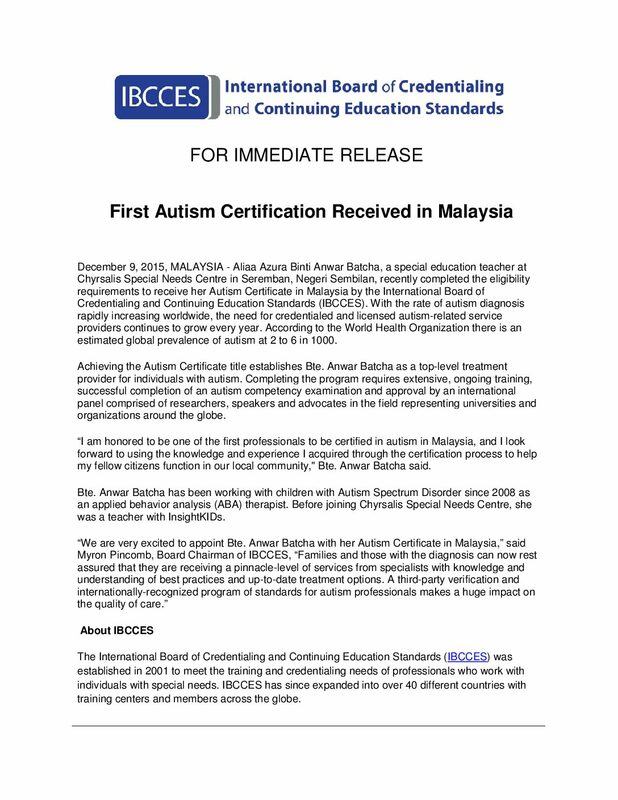 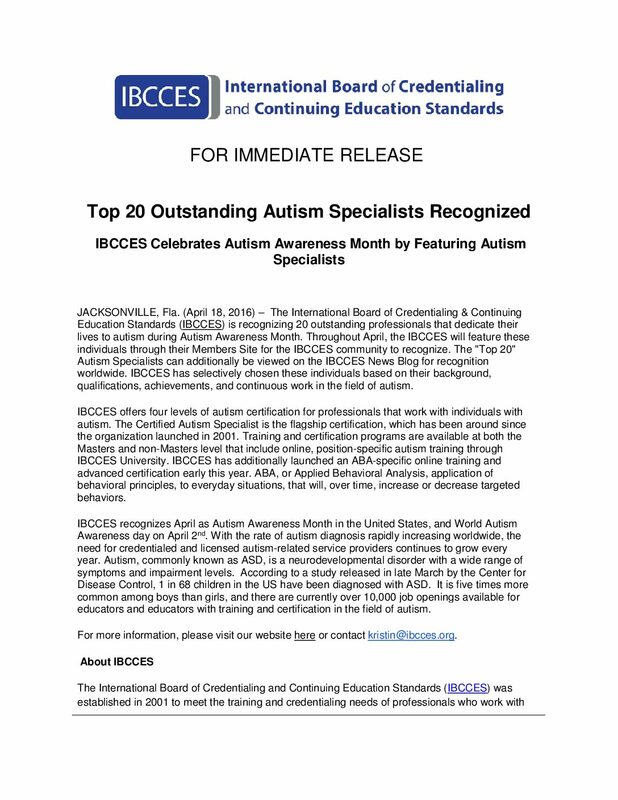 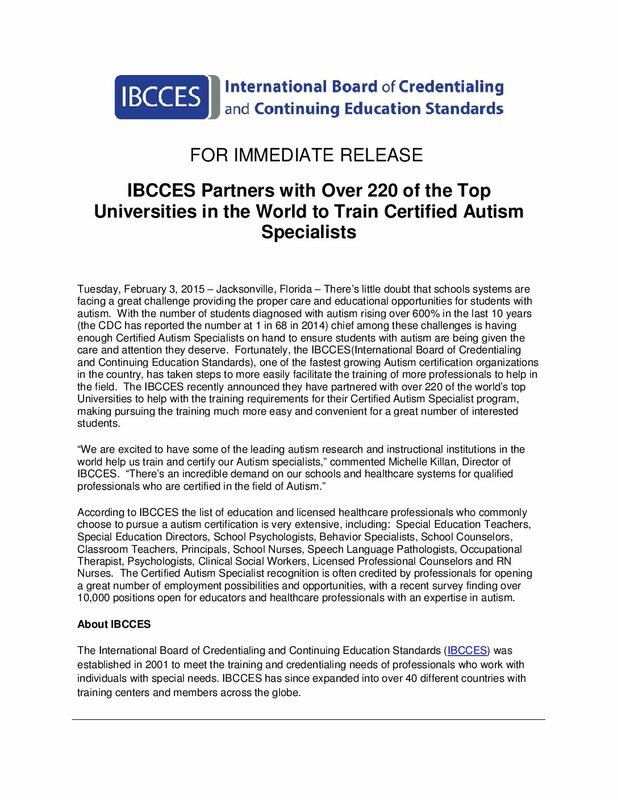 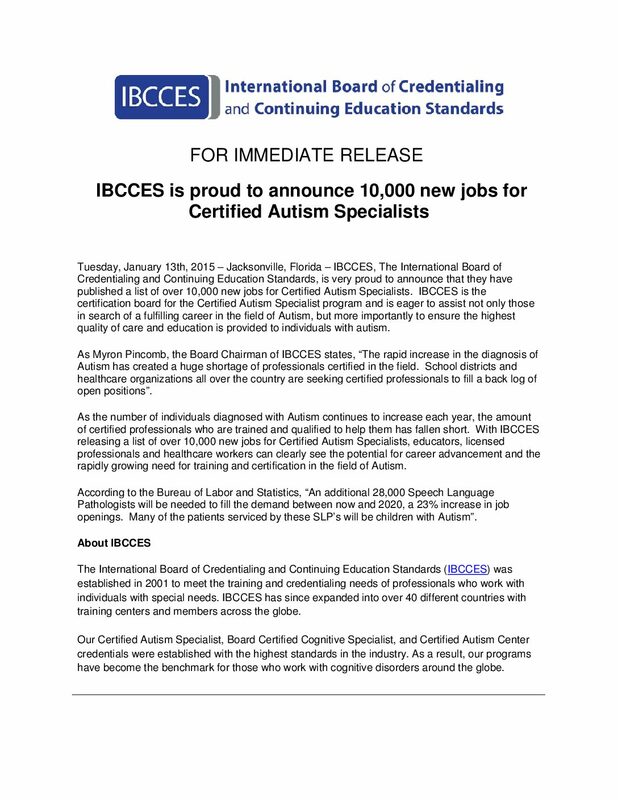 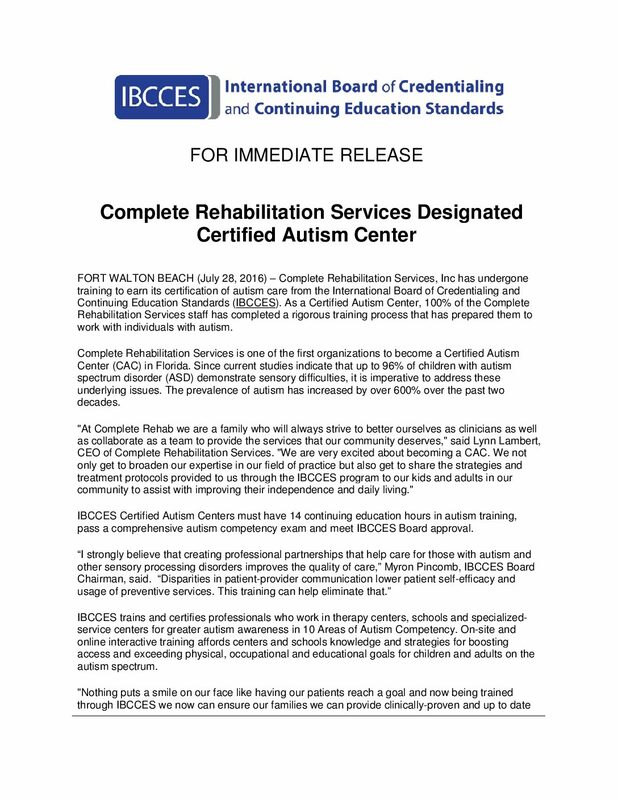 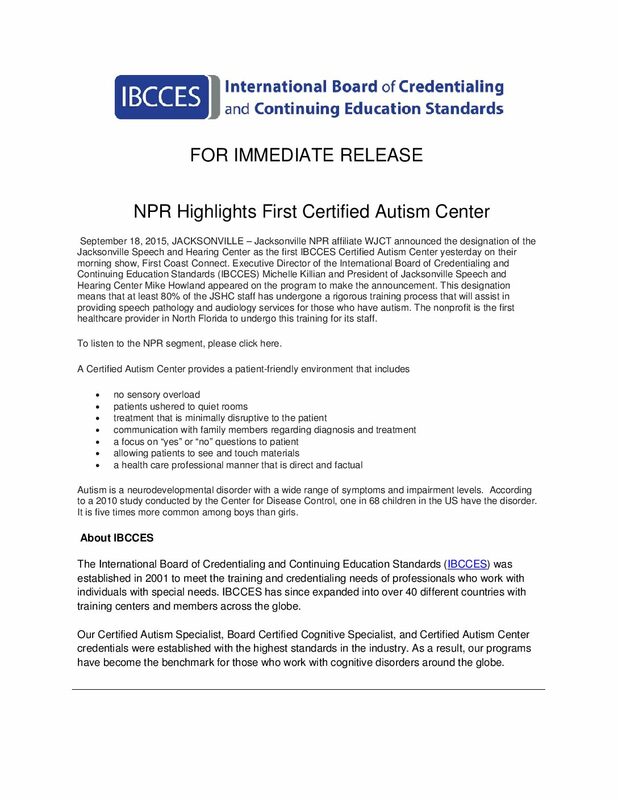 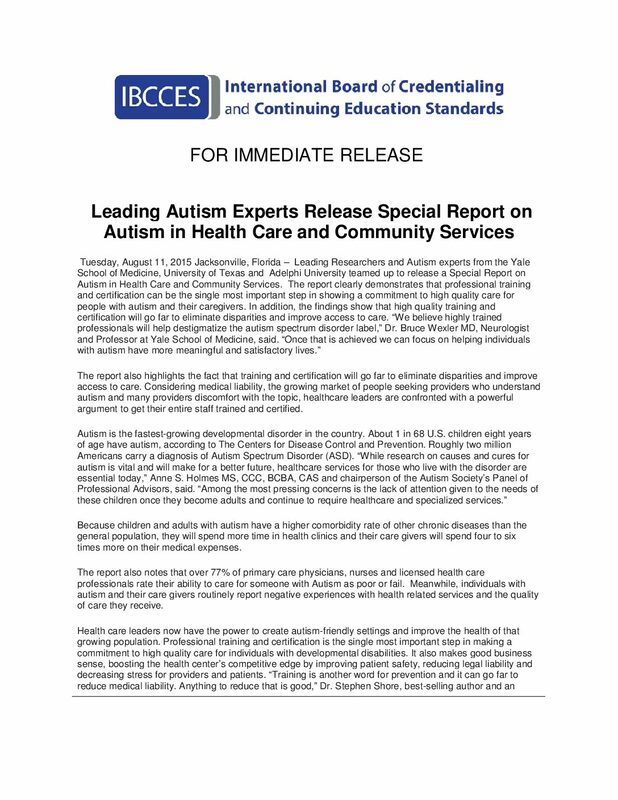 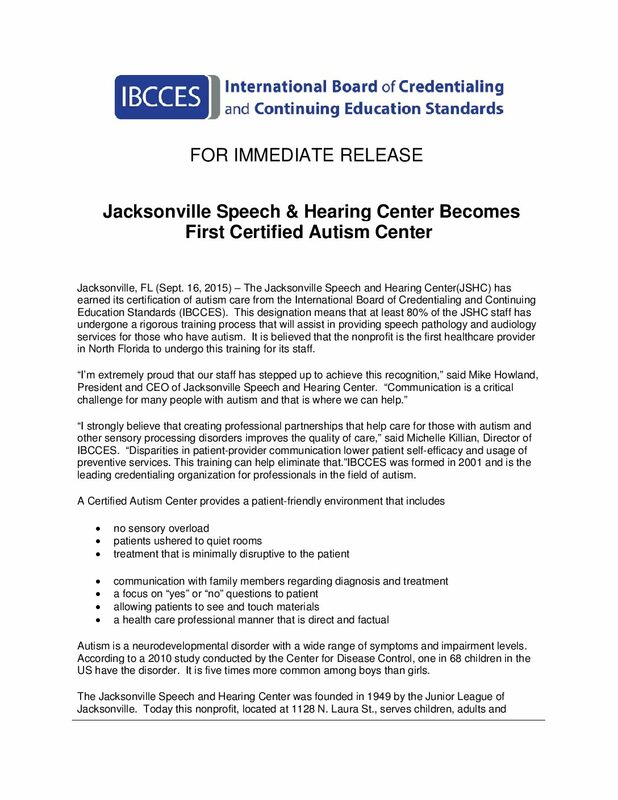 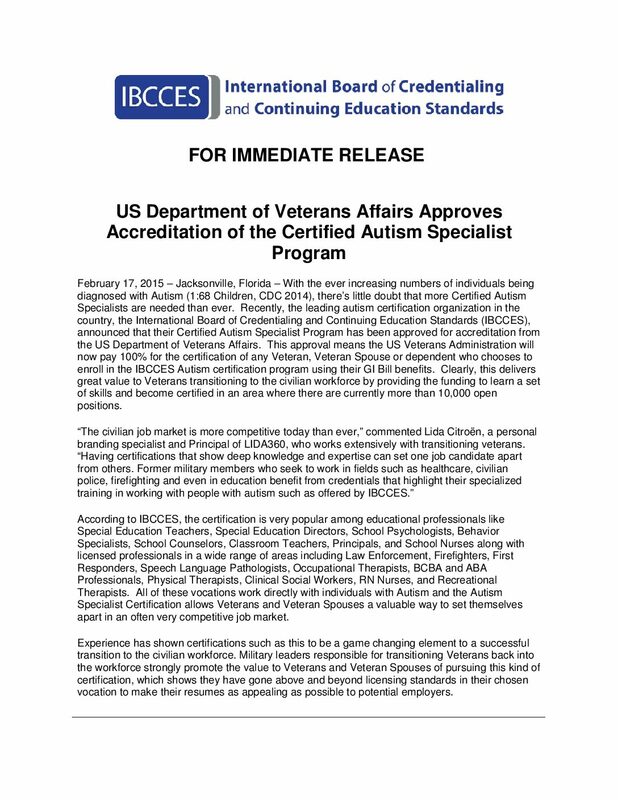 The International Board of Credentialing and Continuing Education Standards (IBCCES) was established in 2001 to meet the training and credentialing needs of professionals who work with individuals with special needs. IBCCES has since expanded into over 40 different countries with training centers and members all across the globe. 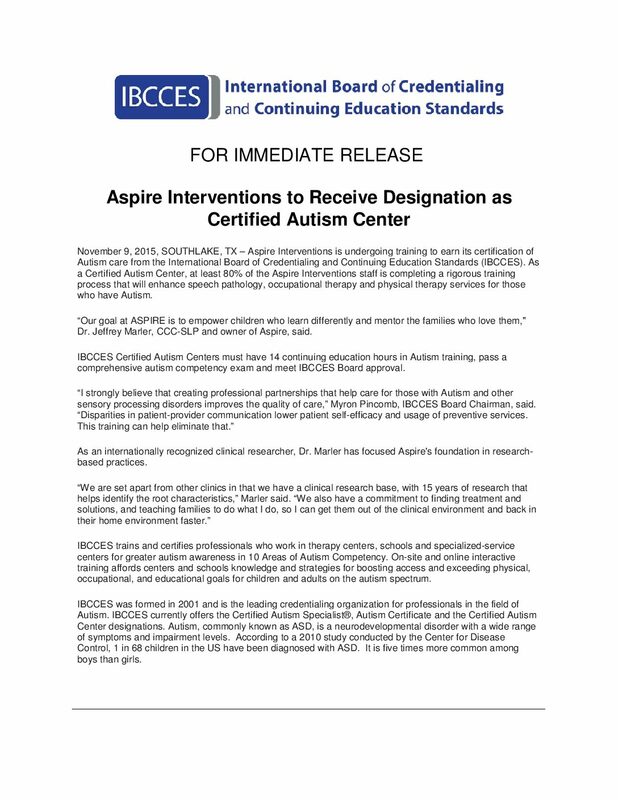 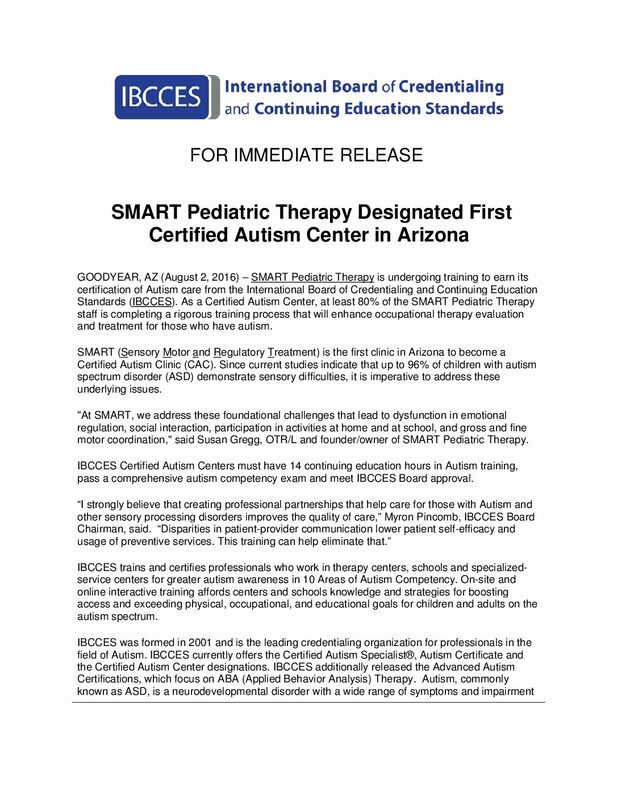 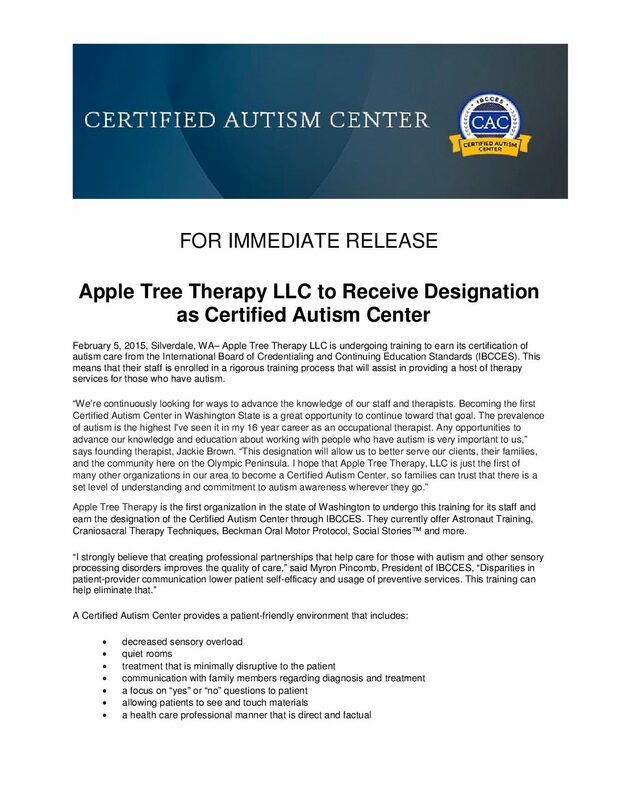 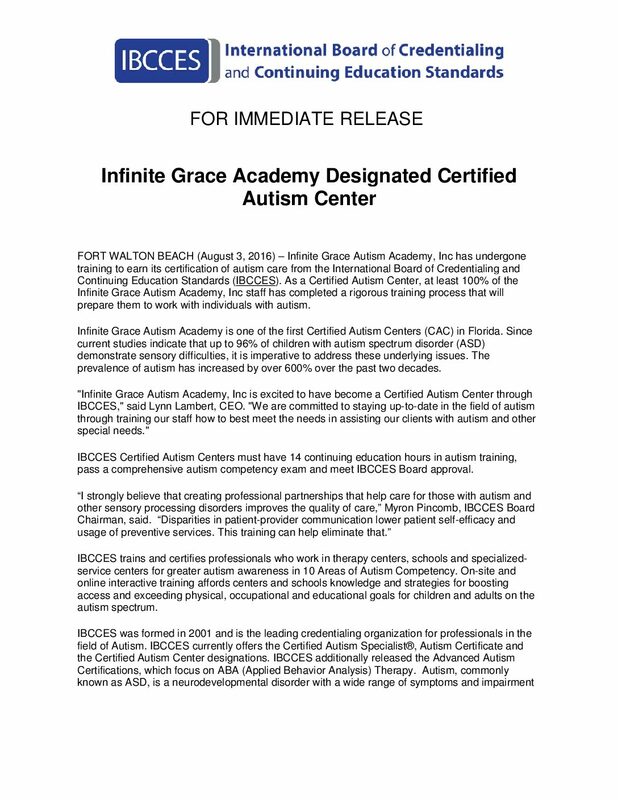 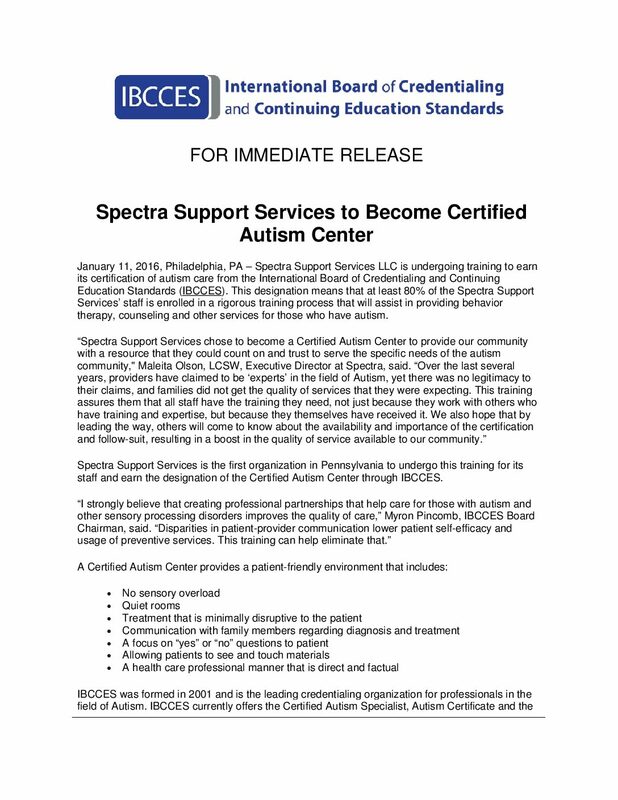 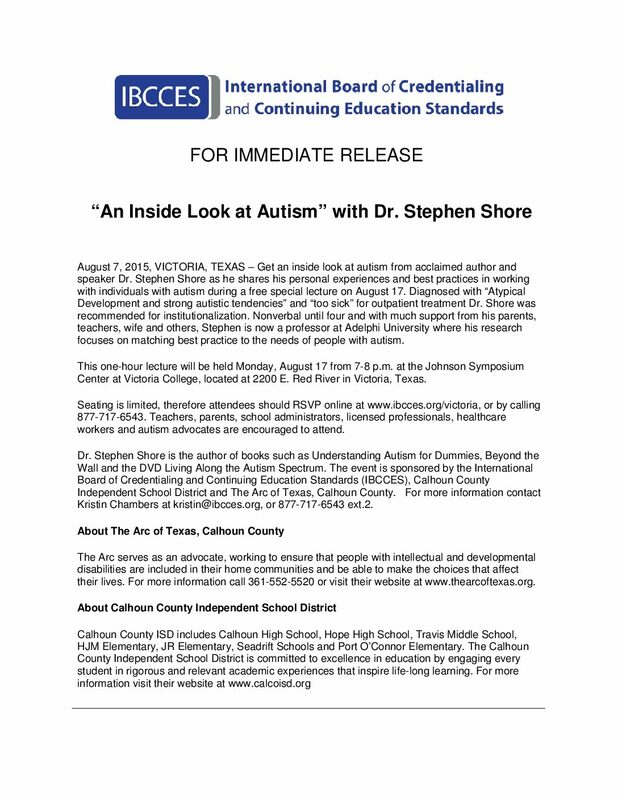 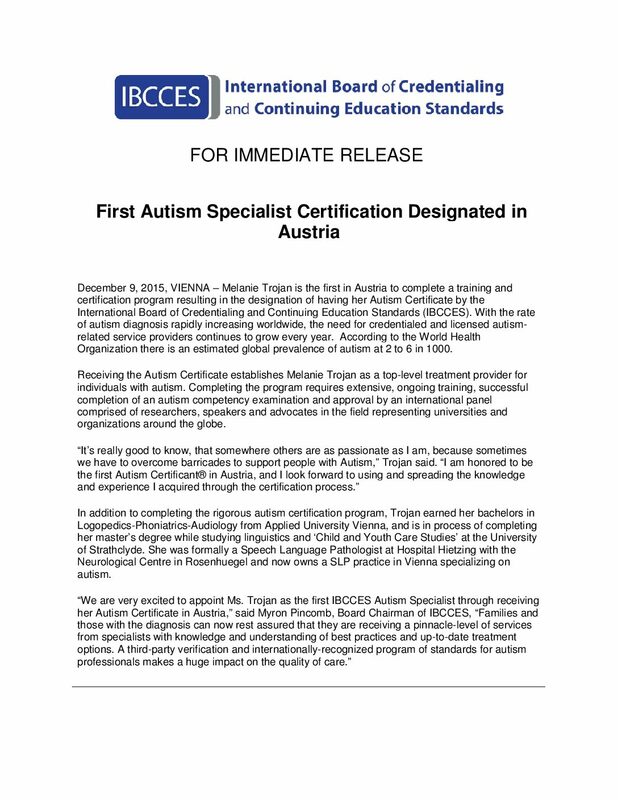 Our Certified Autism Specialist, Board Certified Cognitive Specialist, and Certified Autism Center credentials were established with the highest standards in the industry. 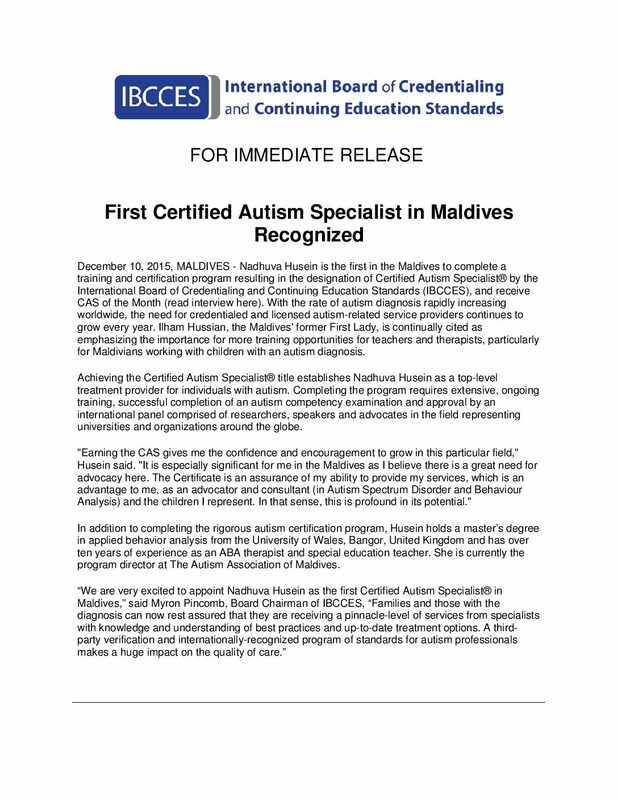 As a result our programs have become the benchmark for those who work with cognitive disorders around the globe. 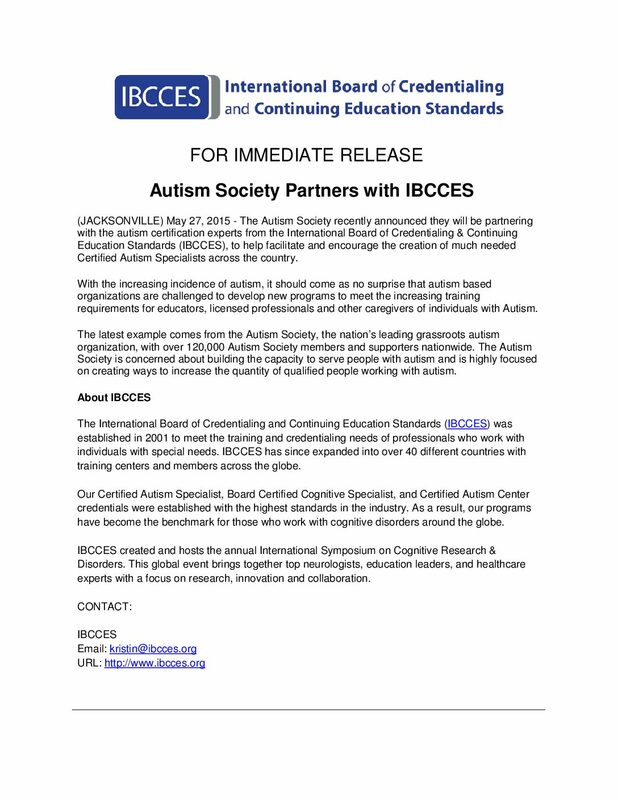 IBCCES created and hosts the annual International Symposium on Cognitive Research & Disorders. 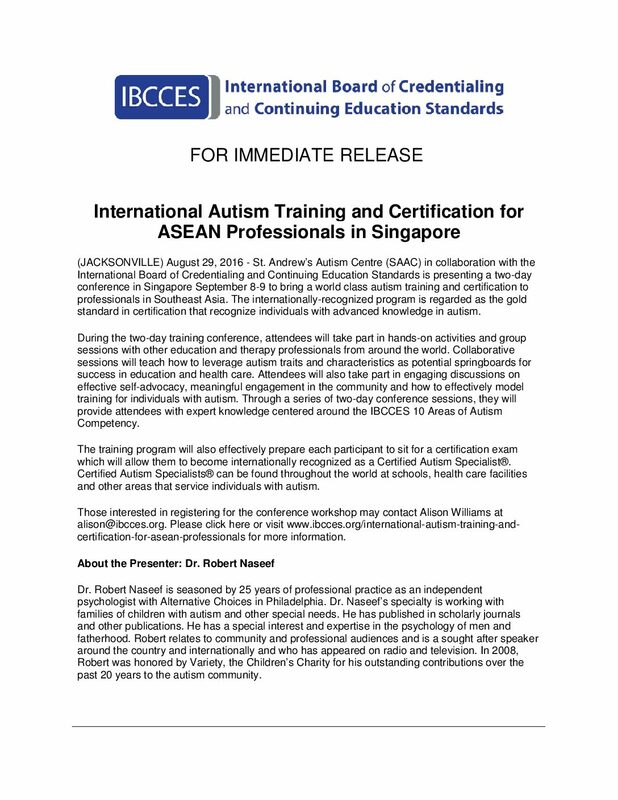 This global event brings together top neurologists, education leaders, and healthcare experts with a focus on research, innovation and collaboration.